eBay is perhaps the most popular online marketplace created to enable trade on a local, national, and international basis. It is indeed a superb place to buy and sell almost everything. However, if you are an inexperienced seller, there is one interesting thing you should know about eBay. The fact is that while selling items on this online marketplace is pretty easy, shipping them out safely and securely can appear to be much harder. This is especially true for eBay shippers looking for the best way to ship out large, heavy, fragile, and delicate items. For example, what if you have sold a piece of antique furniture or a large framed painting and now need to ship it to another country? What options do eBay shippers have in such a case? It is needless to say that not all packing and shipping companies in the USA can ship fragile art pieces and valuable antiques over a long distance. Moreover, only a few have such items insured in case something bad happens in transit. For this reason, to choose only professional shippers of fine art is highly recommended to all eBay shippers! At Fine Art Shippers, we have been providing national and international art shipping services since 1995, which gives us enough experience to transport valuable and fragile pieces to any destination in the world. Moreover, we deal with paintings, sculptures, furniture, musical instruments, porcelain, and other items of all sizes and shapes, so you can entrust our team to ship literally anything, no matter how large, heavy, or delicate it is. It is also worth noting that Fine Art Shippers is an excellent choice for any eBay freight shipping needs because we can combine your shipment with several other shipments to the same destination, thus reducing the overall shipping cost for all eBay shippers. In other words, whether it comes to shipping a single fragile item or an entire collection of paintings, Fine Art Shippers is always the right place to come for help. First of all, no job is too small or too large for our experienced team. 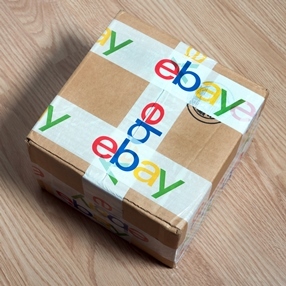 Secondly, all our services are available at very competitive prices, which makes them a perfect choice for all eBay shippers. Do not hesitate to check this out by requesting a free shipping quote right from this website! You are sure to love our prices as much as the quality of our service!